Bill Bryson's first travel book for fifteen years – a brand new journey around Britain. In 1995, Bill Bryson went on a trip around Britain to celebrate the green and kindly island that had become his home. The hilarious book he wrote about that journey, Notes From A Small Island, became one of the most loved books of recent decades, and was voted in a BBC poll as the book that best represents Britain. Now, in this hotly anticipated new travel book, his first in fifteen years and sure to be greeted as the funniest book of the decade, Bryson sets out on a brand-new journey, on a route he dubs the Bryson Line, from Bognor Regis on the south coast to Cape Wrath on the northernmost tip of Scotland. Once again, he will guide us through all that's best and worst about Britain today – while doing that incredibly rare thing of making us laugh out loud in public. Bill Bryson is now old and grumpy. And it makes for great reading. Twenty years ago Bill Bryson published Notes from a Small Island, his travel book on Great Britain, which has since become a travel classic. Anticipating the sales potential of the coming anniversary, Bryson's publisher urged him to revisit Great Britain to give readers an update on the state of that great nation. Reluctantly, Bryson set out. What Bryson found did not please him. Which is great, because The Road to Little Dribbling may be his funniest book yet. I read Little Dibbling on a long haul flight. I read it from cover to cover stifling my guffaws the best I could. I must have been very annoying. But Bryson ambushes you with his humour. You don't see it coming. He's dangerous to read in public. What is really refreshing is having someone as rational and moderate as Bill Bryson recognise just how stupid the world has become. His cited examples of human stupidity are damning. And hilarious. Bill Bryson comes across as such a decent fellow, gentle and nice, a bit of an idiot sometimes, but honest and true and not too difficult to please, and we, as a species, have managed to disappoint him. It's like making Santa cry. Shame, humanity, shame. But with disappointment comes grumpiness, and with grumpiness comes hilarity. If you've loved Bill Bryson's other books, you'll love Bill the Grump. If you haven't read him, what a treat awaits you! This book does not disappoint avid Bryson fans or readers new to this prolific author. Laugh out loud from the first page as he divulges his observations and foibles. This is hugely entertaining. This travelogue by the inimitable Mr Bryson goes off the beaten track in more ways than one. Heavy on facts, figures and politics and light on engaging characters, the scenery carries the burden of interest. Thankfully it's pretty spectacular, and rated more highly if it has a good tea room. While this book often reads like an annoyed letter to The Times newspaper, I can't fault Mr Bryson's passion for UK and his committment to maintaining a clean, green, kindly country. Bill is in fine form with his sardonic wit at the fore from page 1. The descriptions of the walks in the places he visits makes one want to rush over there immediately to experience it in the flesh. Gotta love his pet peeves of environmental degradation and supreme human idiocy often seen in combination. Bill Bryson is one of my favorites and he is able to make you laugh at the human condition, but this one is too literal about the places he's traveling through. Sounds like a report to a Monty Python Ministery. 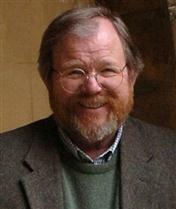 Bill Bryson was born in Des Moines, Iowa, in 1951. Settled in England for many years, he moved to America with his wife and four children for a few years ,but has since returned to live in the UK. His bestselling travel books include The Lost Continent, Notes From A Small Island, A Walk In The Woods and Down Under. His acclaimed work of popular science, A Short History Of Nearly Everything, won the Aventis Prize and the Descartes Prize, and was the biggest selling non-fiction book of the decade in the UK.